Two years ago, Apple’s venerable iPhone received one of the biggest design changes in its history. Previous to the unveiling of the iPhone 5, all other iPhones before it featured 3.5-inch screens – a large screen size for a _phone_ back in 2007, but hardly the stuff that contended with the more spacious screen sizes of other modern, top-tiered smartphones. Still, for the many fans of the iPhone, they were ecstatic to see the increase.During Steve Jobs’ reign, he rebuffed the idea of putting an even larger sized screen in the iPhone. As the phablet segment gained popularity in recent years, however, many owners of the iPhone urged the company to produce one with a BIG screen, but it never came to fruition. Well folks, the company that redefined the modern smartphone is making right with its latest model, the iPhone 6 – one that bears a new design and larger, 4.7” screen to combat the onslaught of flagship phones from the Android side. Naturally, there’s a lot of buzz riding on this phone. 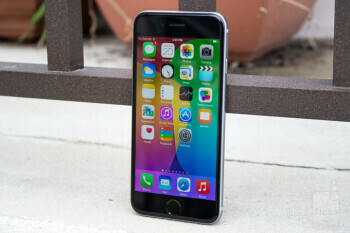 Outfitted with several new upgrades, the iPhone 6 also receives an updated experience in the form of iOS 8 as well. Arguably the biggest launch for Apple to date, can the iPhone 6 continue Apple’s dominance in the market? Exhibiting all of the hallmark qualities of an iPhone, like its premium choice of materials, solid construction, and iconic looks, this year’s model is quite frankly a larger sized iPhone. Sporting a totally new redesign, the iPhone 6 boasts all of the hallmark qualities of an iPhone to keep up with the line’s prestige legacy – while still laying claim to its iconic looks. Naturally, there’s the overall increase in its footprint, which is what’s most profound with its design. Indeed, it’s more spaced out, but it’s still relatively easier to grasp than most of today’s flagships. On top of that, Apple is able to shave off even more of its fame to an impressive thinness of 0.27-inches – besting its predecessor’s mark of 0.3-inches. Premium has always been something associated with the iPhone, so that’s something intact here with the iPhone 6, since its unibody frame is constructed out of aluminum. 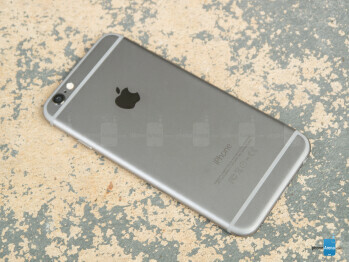 And just like last year, the same color options are presents – space gray, silver, and gold. From afar, it’s undeniably an iPhone, but upon closer inspection, there are several new changes that give it a different look. For starters, it follows the design language first introduced to us by the iPad mini – where it’s more rounded on its sides. Due to this, we find it more comfortable to hold than the chamfered beveled edge of the iPhone 5s.Apple has been making a point about “continuity” with its design approach, where everything seems to follow a seamless pattern, but we’re a little shocked because of how the camera lens in rear interrupts the design’s continuity. Let’s be honest folks. 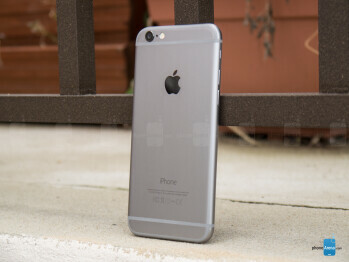 The iPhone 6 is one meticulously crafted, beautiful looking smartphone that’s a cut above those plastic-bodied ones, but at the end of the day, even with the switch with its design language, it looks like an iPhone – a larger one than before to be exact. 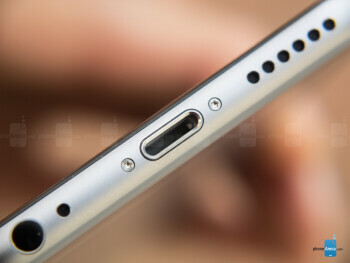 Attributed to its larger size, the power button has moved away from its traditional location on the upper right corner of the phone, and is now placed along the right edge – a fitting change, since it’s easier to access. As for the volume controls and silence switch, which are still in their same old spots on the left edge, they might not jut out as much as before, but they’re still relatively easy to distinguish and operate. Notably different is the size of the volume buttons, which are elongated now, in order to accommodate the iPhone 6’s skinnier frame. Meanwhile, other familiar items, like the Lightning docking power, 3.5mm headset jack, speaker, earpiece, and microphones are found in their usual locations. Underneath the display, we have the phone’s iconic home button, which has the Touch ID biometric touch sensor incorporated into it. Still rocking the same responsiveness and easy unlocking operation as before, it’s still somewhat mind-boggling to know that it’s the best implementation around. Apple’s iPhones have always been known to take spectacular photos, so it shouldn’t surprise anyone to find that the iPhone 6 is packing some new gear. Even though its iSight camera doesn’t increase in count, a decent 8-megapixel sensor with a two-toned dual-LED flash, Apple introduces a new technology called “Focus Pixel”, which we’ll expand more on later in the camera section of the review. 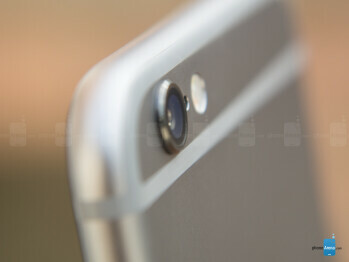 Likewise, they’ve opted to stick the iPhone 6 with the same 1.2-megapixel front-facing camera. The iPhone 6’s 4.7-inch 750 x 1334 Retina Display continues to deliver high-quality results, like its potent brightness and superb color accuracy, but we wish for something higher in resolution. Playing into its main rivals, Apple has increased the size of the iPhone’s display to a more contemporary mark of 4.7-inches. 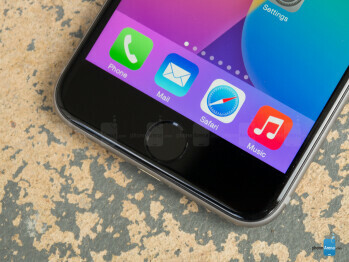 Combined with its resolution of 750 x 1334 pixels, it delivers a very Retina display pixel density figure of 326 ppi. Sure, the this doesn’t turn heads as much as the quadHD resolution of the LG G3 for example, but at the end of the day, we’re still able to make out fine details with very few issues. Still, a part of us wished for the iPhone 6 to come to the party with a resolution of more than 430ppi to match its rivals.Apple continues again to ensure that the panel is a high-quality one. Based on IPS LCD technology, which is protected by a layer of Gorilla Glass 3, the display lives up to the hallmark qualities of past iPhone displays. First and foremost, it’s super easy to view outdoors with the sun presents, thanks in part to its potent brightness output of 606 nits – a modest step up over its predecessor’s 587 nits mark, but an excellent result nonetheless. Once again, too, the Retina Display present here is one of the most accurate when it comes to reproducing colors. With a color temperature of ~7100 K, there’s a slight cooler tone to the screen. From the looks of it, the panel in here closely matches its predecessor when it comes to color accuracy. Yes, there are very few minor differences, but for the most part, the display here is pretty darn excellent at producing accurate colors. In addition, viewing angles are pretty fantastic too, as it maintains its clarity at even the widest angles. Aside from a phone’s design, the other main thing to catch our attention from an initial glance is the phone’s display. On one hand, we’re ecstatic to see an increase in size to make the iPhone 6 competitive, but on the other, we’re a little disappointed by Apple’s decision to sit behind the pack with a lower resolution panel. Its saving grace, however, is the high-quality panel that it uses. Two years ago, Apple’s venerable iPhone received one of the biggest design changes in its history. Previous to the unveiling of the iPhone 5, all other iPhones before it featured 3.5-inch screens – a large screen size for a phone back in 2007, but hardly the stuff that contended with the more spacious screen sizes of other modern, top-tiered smartphones. Still, for the many fans of the iPhone, they were ecstatic to see the increase.During Steve Jobs’ reign, he rebuffed the idea of putting an even larger sized screen in the iPhone. As the phablet segment gained popularity in recent years, however, many owners of the iPhone urged the company to produce one with a BIG screen, but it never came to fruition. Well folks, the company that redefined the modern smartphone is making right with its latest model, the iPhone 6 – one that bears a new design and larger, 4.7” screen to combat the onslaught of flagship phones from the Android side. iOS 8 might not see a huge overhaul with is visuals, but it has surely been outfitted with several new notable features that really balances out its functionality to almost the same level as Android – though, it’s still simple and easy to operate at its core. Besides a few hardware upgrades, last year’s iPhone was most noteworthy for Apple’s decision to finally update the iOS experience. Going with a flatter design philosophy, iOS 7 undoubtedly sprinkled a refreshing change of scenery to the otherwise antiquated visuals and functionality of the platform. With this year’s offering, though, iOS 8 moves in a forward direction by throwing in several enhancements to the experience – making it a more capable and complete platform in the process. Well, the one area we don’t see any major design alterations is in the interface. In fact, you’ll barely notice some of the minor changes, but they do exist! Getting to the iOS 8 homescreen, all of the familiarities are still present, like its grid-like layout, folder organization, and bottom launcher. With the unveiling of the updated software, Apple throws in a handful of new background wallpapers – though, we’re a bit disappointed that they didn’t include any new dynamic ones. So the visuals are pretty much unchanged with this latest iteration of iOS, but it sees yet another degree of updates to its functionality. Without further ado, let’s jump in and talk about all of the new stuff with iOS 8! Notifications came in a big way with the introduction of iOS 7, one that finally aggregated all notifications in one centralized, easy-to-access location – similar to Android’s execution to be exact. This time around, pulling down from the top edge of the screen in iOS 8 takes us to the redesigned Notification Center, which is now less cluttered as it contains only two tabs instead of three. By default, the Today tab is displayed first, presenting us with an at-a-glance view of our daily agenda, and the other tab lists our notifications. Another welcomed change is the added support of third-party widgets in the Notification Center. Most people familiar with iOS 7 already know of the widgets from Apple’s portfolio of apps, such as Stocks, but now the Notification Center is more crowded than ever before with these third-party widgets. Sure, we appreciate the quick access to them, however, the single column view makes everything seem too cramped to access and use effectively. On a bright note, we do love how the notifications tab is now more concise – whereas before, it seemed as though we were bombarded by a dizzying amount of notifications. Unfortunately, iOS 8 doesn’t bring forth the much-wanted option of “clearing all” of our notifications with one action, so we’re still forced to clear out groups individually. It’s a laborious process to say the least. Making for an easier interaction, iOS 8 features actionable notifications – notifications that you can interact with to a new degree. For example, when a new text message arrives, you can instantly type a quick response without having to close your current app or go past the lock screen. And while they aren't anything groundbreaking, actionable notifications make iOS 8 much more enjoyable to use. We did notice that not all messaging apps take advantage of these notifications yet, but software updates should take care of the issue. Enhancing what it populates beyond the local stuff in the phone, like our contacts or apps, Spotlight Search has been improved with iOS 8 to offer recommendations/suggestions from a bevy of places. We already know how useful it is for searching local content, but Apple has extended its searching scope to sniffing out songs/albums on iTunes, various web sites, and Wikipedia results. We dig the added functionality, seeing that eliminates our need to launch the web browser. Speaking of queries and searching, Siri has been taught a few new tricks as well. First and foremost, you can make her (or him) listen to your input with a simple voice trigger – "Hey, Siri..." followed by your question or command. There's a catch, however. The said voice command works only when the iOS device is plugged into a charger or after Siri has been already launched. Yelling "Hey, Siri..." while on a home screen or with the phone locked wouldn't do anything. That's a limitation we weren't expecting given the fact that a number of Android phones already support always-on voice commands. Nevertheless, it is better to have the "Hey, Siri" trigger working as described than to not have the feature at all. Always the one to become smarter and wiser with each major software upgrade, iOS 8’s introduction yields Shazam integration as well with Siri. Naturally, it comes in handy when we’re stumped with some kind of song playing in the car. Besides that, Siri continues to populate relevant responses and searches – while also amusing us with some of her/his witty remarks. And before we move further, we have to mention the improved multitasking menu. Double-pressing the home button in iOS 8 displays not only your recent apps, but also your recent and frequently accessed contacts – another simple, yet brilliant addition to the platform. Tapping on a contact lets you quickly call them or send them a message. However, when we think about multitasking, the core element at play here remains unchanged. Specifically, the whole process is still very much task switching, as opposed to true multitasking – like how two apps can run simultaneously on-screen with some of the customized Android experiences out there. In addition, it continues to lack a way to quickly “close out” all opened apps in one action. Health has become a hot topic of late, evident by the numerous healthy-fitness apps out there in circulation. Samsung seemingly popularized the notion of integrating health into its TouchWiz interface, S Health to be exact, but Apple’s offering in its own home brewed Health app is a lot more comprehensive – insanely more to say the least! Now, in order to fully utilize the Health app, you’ll need to have additional peripherals for the app to gather its data from. Unlike other fitness apps, like Fitbit, which gets its data from using the iPhone’s built-in, various sensors, the Health app actually requires a peripheral to completely function properly. Although technically, it is possible to add the data type and values manually. The beauty of Health is that it is a centralized hub for all of the user's health stats, including anything from their activity, weight, and heart rate, to blood pressure, blood glucose, and vitamin intake. Thus, it gives a more complete picture of one's condition. Data collected by Health may be automatically sent to a doctor in case, let's say, the user takes a blood pressure reading and the values are outside of the norm. These are the possibilities that Health iOS 8 enables. From here onward, it is be up to the developers and the makers of health monitoring devices to create innovative products and services compatible with Health. Superficially, you might not realize it because the messaging experience is the typical one we’ve seen countless times with previous iPhones, but iOS 8 has an unexpected trump card under its sleeve – support for third-party keyboards! No long must we stick to using Apple’s generic keyboard, which is still quite versatile, but it’s nice to have options now. For example, fan favorites like SwiftKey are available for download – giving us that swiping movement for inputting text. Typing on the iPhone 6’s spacious 4.7-inch screen is still pretty easy on the fingers, since we’re not stretching a whole lot trying to reach certain sections of the stock keyboard – one that’s responsive and continues to offer pretty good auto-correct. If you opt to stick with Apple’s keyboard, then you ought to know that it’s been enhanced with the addition of QuickType, which is Apple's word prediction solution. We must admit that it works well, and it is nice that it learns from the conversation's context to provide better word suggestions. For example, it will set higher suggestion priority to words already used in the thread, and if it detects an incoming question, it will suggest suitable responses. Other new elements thrown into the messaging experience include new ways to attach photos, videos, and even sounds, by merely pressing and holding the respective icons in the messaging app. It’s simple and different from the usual selection process we’re familiar, so we totally like this new approach. Jumping to the Mail app, the visuals remain untouched from before, but Apple optimizes the way we can quickly deal with a new message in our inbox. Using the same left/right swiping gestures in our inbox, we can mark a message as read/unread by swiping left. Alternatively, we can swipe all the way right to delete it. However, slightly swiping to the left on a message presents us with three options – flag, archive, and more. Going with the latter option, it gives us another menu to do even more functions. Never the one to disappoint, the specs sheet of the iPhone 6 might not look menacing, but it’s certainly one of the speediest phones around. In today’s smartphone market, we have devices powered by quad-core and octa-core chips, which easily come in at clocked speeds over the 2GHz mark, but if there’s something that Apple has taught us, it’s that numerical figures have no bearing with the iPhone’s performance. And to that avail, don’t let the iPhone 6’s dual-core 1.4GHz Apple A8 processor coupled with 1GB of RAM and the PowerVR GX6650 GPU fool you – oh, and it’s based on 64-bit architecture yet again. To tell you the truth, the iPhone has always been a snappy thing with its performance – and it’s certainly true here yet again with the iPhone 6. Sure, the simple stuff are all handled effortlessly with that buttery smooth response, but it’s also a solid performer when it comes to playing today’s graphics intensive mobile games. The numbers might not be fancy on paper in the face of those other processors, however, it’s a testament in once again telling us phones don’t need the beefiest specs to operate smoothly or effectively. Complementing the A8 chip is the new M8 motion coprocessor, which helps to alleviate the A8 processing duties by efficiently gathering data from the iPhone 6’s various sensors and its new barometer. Think of it as more of being related to fitness apps, as it can distinguish various types of motions – like the difference between taking steps, or cycling on a bike. Hardly a shocker, the base option of the iPhone 6 comes with 16GB of storage. In today’s ever increasing competitive atmosphere, it’s a tally that we feel to be insufficient, especially when most of today’s flagships offer a spacious 32GB. Speaking of 32GB, the option for that has been eliminated, replaced instead with 64GB – while the third option boasts a gluttonous 128GB of space. Pricing, of course, remains true to the iPhone’s roots, where they’re priced respectively on-contract for $200, $300, and $400. The added screen real-estate benefits the web browsing experience, which is also supplemented by its new VoLTE connection. 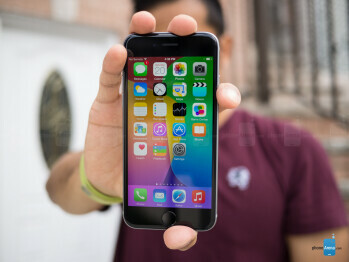 One to always tinker and make improvements, the notable part about the iPhone 6’s web browsing experience is that it supports more LTE bands than any other smartphone – leaving fewer variations of the phone needed to be compatible to work with the various networks littered throughout the world. Speed is not an issue here, as complex pages load in a snappy manner over LTE. In addition, the experience is surprisingly top-notch, thanks to its quick page rendering and buttery smooth kinetic scrolling. Honestly, we’ve never complained about the iPhone’s performance in this department, so the same applies here. Available in both CDMA and GSM flavors, where it’s available for the four major domestic carriers in the US, the iPhone 6 also includes VoLTE – voice over LTE, to grant us wideband high-quality calls. In essence, not only is the call quality enhanced by this, but it also permits us simultaneous voice and data connections. Most of the traditional connectivity features continue to be in tow here with the iPhone 6, such as aGPS with Glonass and Bluetooth 4.0 LE, but Apple has outfitted its beauty with a new 802.11 ac connection, which offers up to 3x faster Wi-Fi speeds than 802.11n. Another new addition to the family is NFC, a feature that’s been something we’ve all longed for. Well people, it’s finally here, but its true worth will be felt once Apple Pay becomes available in the near future. One thing missing, though, is an IR blaster for remote controlling – a feature that we’ve come to find on many high-end devices nowadays. The new 8-megapixel iSight camera continues to take some spectacular looking photos, but the most noticeable improvement is with its low-lighting performance. This time, it’s less noisy and has a higher emphasis on sharpness. For as long as we can remember, the iPhone has always been a strong performer when it comes to snapping photos. 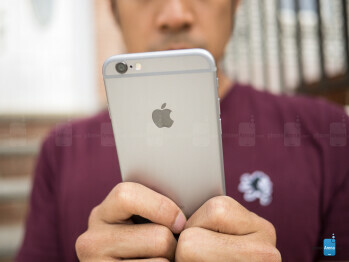 Unlike the other handful of flagships announced or released recently, which keep getting armed with bigger count cameras, the iPhone 6 matches its predecessor by packing along an 8-megapixel iSight camera in its rear – complemented by its five-element f/2.2 aperture lens, true-tone dual-LED flash, 1080p video recording, and a neat 240 FPS slow motion capture at 720p. Naturally, we’re not too concerned that it’s not trying to win the megapixel race, like how many of its rivals feature 13-megapixel and up sensors. However, what’s strange this time around, whereas it wasn’t an issue with prior iPhones, is the slight protrusion of the lens from the rear. It’s not flush, so the phone is uneven when it’s laid down on its back. At the same time, since the lens juts out, a small portion of it does indeed come in contact with the surface. Generally speaking, most people won’t realize it, but the iPhone 6’s iSight camera sees a subtle improvement in its responsiveness. Armed with a new sensor with Apple’s fancy termed “Focus Pixels” phase detection system, the phone is able to seamlessly and instantly focus on something faster than before – so that translates into snapping photos in a heartbeat, and without the worry of images coming out blurry. As for the camera interface itself, it has a familiar interface with a few new options, among which is the self-timer. When it is enabled, a delay of 3 or 10 seconds is set before the camera takes a burst of photos. Speaking of which, the camera automatically starts shooting in burst mode when its shutter is held down. 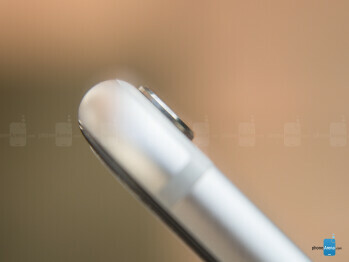 Another improvement in the new Camera app is the added manual control over the image's focus and exposure. Holding down a finger on an area of the frame will lock the focus and exposure at that point. If needed, the exposure can be adjusted with the help of a slider that appears. The manual controls are designed in a way that makes them really easy to use even by non-experienced photographers. 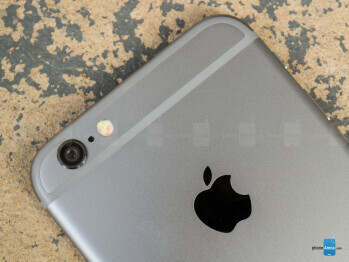 When it comes to video recording, Apple has added Time-Lapse mode to its Camera app. While nothing new to see on a smartphone, this feature is used for shooting videos that "condense" a long period of time into a much shorter video. Always the one to please and impress, the iPhone 6’s new iSight camera continues the long tradition of capturing amazing photos filled with detail, vibrancy, and life. To anyone, the snapshots it captures are more than ideal for basic 6” x 4” printouts – while also giving us a little bit of elbowroom with the option to crop them later. Exposure is handled well when the phone is left to automatically detect the best option for us, but the added convenience of being able to adjust it thanks to iOS 8 is another pleasant addition. Colors, too, are rich and well-represented throughout the range – resulting in compositions that are stunning. Frankly, its performance under conditions where lighting is ample doesn’t differ a whole lot with last year’s camera, but we find it superior in another area. Low light performance is pretty spot-on as well! Again, the option to manually adjust the exposure becomes an effective tool in brightening up shots that otherwise would appear under-exposed. Thankfully, the iPhone 6’s sensor is able to absorb enough light to produce images that still boast a fair amount of detail – while noise is kept to a dim in most situations. In fact, when comparing its shots directly to the iPhone 5s, it’s apparent that there’s less noise with the shots from the iPhone 6. Better yet, it even manages to deliver a higher degree of sharpness under low light. In combating things, its true-tone dual-LED flash helps to compensate things by casting a potent mixture of lighting to our shots. Yes, it gets the job done, but it usually casts a warmer tone to our shots. Overall, the iPhone 6 won’t disappoint shutterbugs with its quick focus, stunning compositions, and general great all-around performance. Arguably the best at taking panoramic shots, the iPhone 6’s Pano mode now enables us to capture higher-resolution panoramics that top out at a whopping 43-megapixels. The process, of course, is pretty intuitive, but just be careful to monitor how many you capture, since they occupy a huge amount of storage. If its high-quality still image quality isn’t enough, you’ll be glad to know that the iPhone 6 also records some snazzy looking 1080p videos. Boasting crisp details, moderate exposure adjustment, minimal artifacting elements, and robust audio recording, it has all of the ingredients to make capturing the moments even more special. Trust us, you won’t skip a beat with this one. One of the more alluring properties this time around is that it now offers continuous auto-focus – instead of touch to focus previously. Not only is it quick to adapt, but the transition is seamless when focusing in and out of something. Finally, we also notice an improvement to its audio recording, which sounds more robust. For those looking for 4K ultra high-resolution video recording, we'll disappoint you that the iPhone 6 doesn't offer it, unlike most of its rivals. Last year brought on the introduction of 120 FPS slow-motion capture at 720p, but the iPhone 6’s upgraded hardware now permits it to capture those same 720p videos at an astonishing 240 FPS. We all were impressed with the 120 FPS capture, but this totally takes it to a new level. Increasing the frame rate allows fast-movements to be slowed down tremendously – to the point where every motion has an artistic grace to it. With its bigger & sharper display, powerful speaker, and snappy performance, the iPhone 6 enthralls when it comes to consuming multimedia content. With iOS 7, photos could be edited straight in the Photos application, but the editing options available weren't many. Yet now, iOS 8 allows us to fine-tune an image's light and color. Modifying any of the two parameters actually changes a number of values simultaneously for a more pronounced effect. For example, making a photo lighter boosts its brightness and contrast while reducing the exposure and highlights. We know this may seem complicated, but it is not. In fact, Apple has made its image editing features in iOS 8 so easy that anyone can do it. The instant previews show what a photo will look before it is even modified, which is neat. Also, we're glad to see that photos can now be rotated freely. The auto-enhance, red-eye removal, and filter tools from before are present. The music player remains unchanged from last year’s offering with iOS 7, so the visuals and functions are identical. Even though it continues to be integrated with iTunes Radio, we’re still required to go into the phone’s settings menu to adjust its equalizer setting. Now, it would be more useful and logical, to have it accessible directly from within the music player – as opposed to exiting out from it and then proceeding to go into the settings menu. Churning out music through its single speaker, which is perched along the bottom right corner of the phone, it emits the same lovable, easy-to-listen output as before. 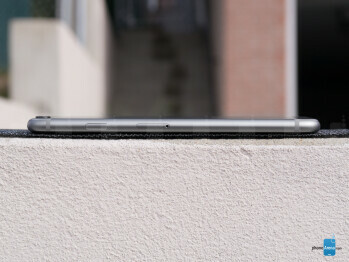 Topping out at 74.5 dB, a close mark to the HTC One M8’s tally of 75.2 dB, it’s undoubtedly strong and vibrant – with barely any evidence of crackling or strain at the loudest volume. Previously, the iPhone’s 4-inch screen was never a likely candidate for watching videos with friends nearby – that’s because its size was good for one person, but not for multiple. Well, now that the iPhone 6 has a larger display, the video watching experience only gets better. Naturally, videos play smoothly without any traces of hesitation or choppiness with playback. The best part, however, is just the added real-estate to make it more ideal for the experience. Conversations are handled pretty easily by the iPhone 6, but we wouldn’t go far to say that it’s perfect. 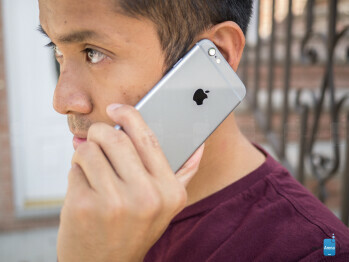 Using it for phone calls, the iPhone 6’s quality is minutely improved over its predecessor. Voices through the earpiece, once again continue to have a strong emphasis behind them – so even in noisy environments, the earpiece’s volume output is loud enough for us to comprehend our callers. Over the speakerphone, however, there’s just a subtle amount of distortion. It’s not something that diminishes the experience tremendously, but nonetheless a noticeable thing. Conversely, our callers on the other end of the line have little issue in trying to distinguish our voice. Although it’s not something relatively new in the greater scheme of things, the iPhone 6 now has support for Wi-Fi calling – an added benefit of course, especially if you’re in one of those spots where cell phone coverage is spotty. However, it’s something that’s carrier dependent. Currently, though, T-Mobile is the only major domestic carrier to support this. A skinny profile earns the iPhone 6 some good points, but there’s a compromise to its battery life – it’s just not as good as its contemporaries. In compensating for the iPhone 6’s larger display, it’s been stuffed with a larger battery than its predecessor. Sadly, though, it fails to keep pace with some of its highly-esteemed rivals in the space. Indeed, it manages to get us through a single day or normal usage, but power users will surely give the phone some work – as in it needing to be recharged at some point during the afternoon, before it’s completely tapped out when the clock strikes 5:00 PM. Putting it through the paces with our battery benchmark test, it delivers a ho-hum tally of 5 hours, 2 minutes from a full charge – a tally that’s average. The iPhone 6 definitely gets some points with its slim profile, but there’s a compromise to its battery life. To that end, the iPhone 6 stands true to Apple’s philosophy of simplicity and ease. Compared to its rivals, the hardware it’s packing doesn’t seem menacing, but the outcome is always the same – a phone that simply just works well. We gladly accept the decision to bring a larger screen to the phone, which now puts it in the same pedestal as its contemporaries. On the software side, iOS 8 might not be as much of an overhaul in comparison to iOS 7 last year, but the added new features definitely help to give it a more rounded function. Pricing doesn’t change with this new model, as the 16GB, 64GB, and 128GB options are priced respectively at $200, $300, and $400 on-contract – or $650, $750, and $850 outright. Frankly, we recommend skipping out on the 16GB option, since the 64GB options has more value to it. At the end of the day, however, the iPhone 6 is mainly a bigger sized version of the iPhone we all know and love – with enough incremental improvements in its performance to make it a strong contender for anyone considering to pick up a new device.